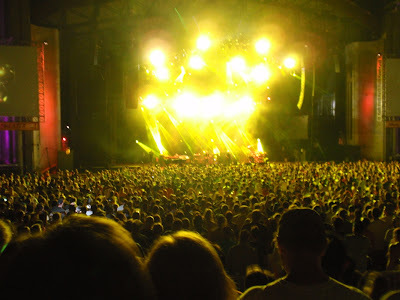 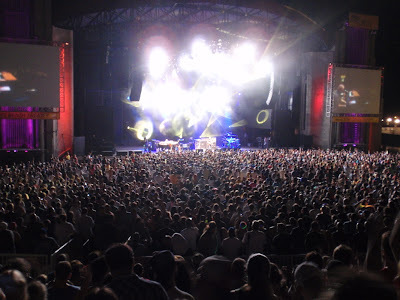 In lieu of a typical bloggy review, I've written up a piece for jambands.com on the recent Phish shows at Jones Beach. 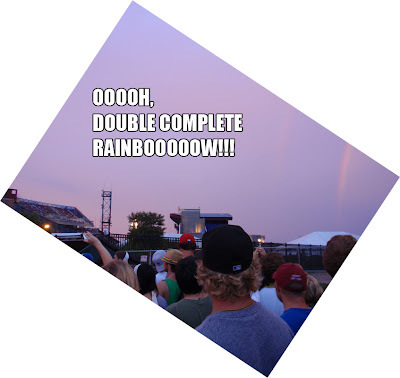 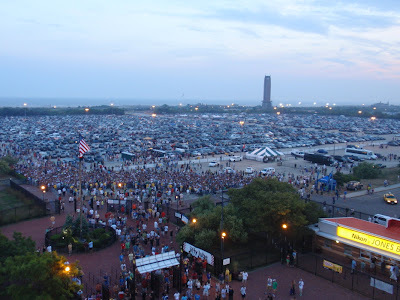 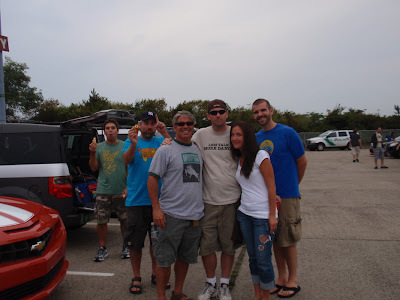 Phish, Jones Beach, 2010: Traffic, and Rainbows, and Jumpers- Oh My! 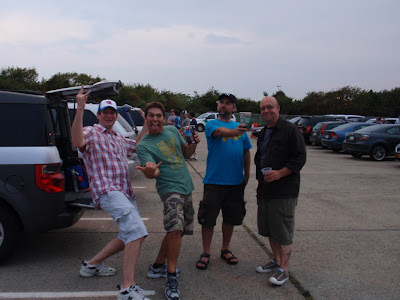 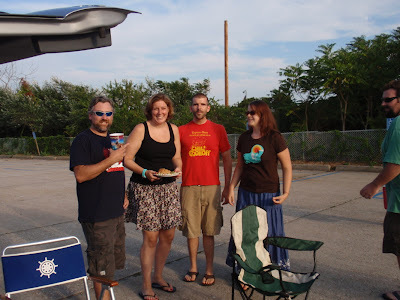 Here are some pics of the fun times that mostly don't appear in the jambands.com article. 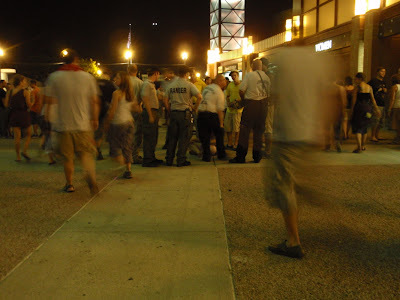 the beginnings of a clusterphuck. 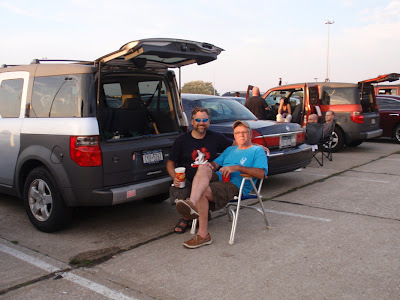 this was taken on Tues. in section 2, row HH, mid-row. 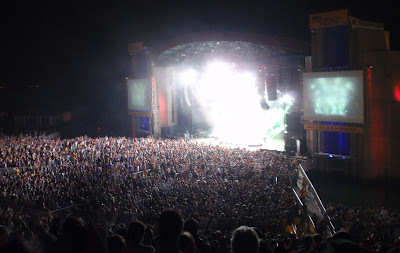 the exact seats the jumper landed in on Wed. (see below) SPOOKY!! 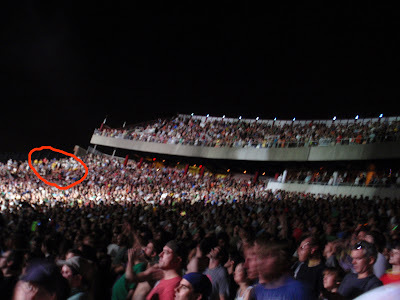 during setbreak, some kid jumped off the mezzanine and landed in the seats circled below. 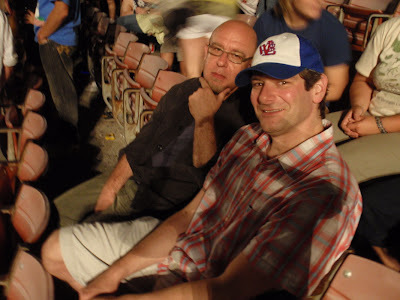 and last, but certainly not least... two handsome fellows on a fine August evening.